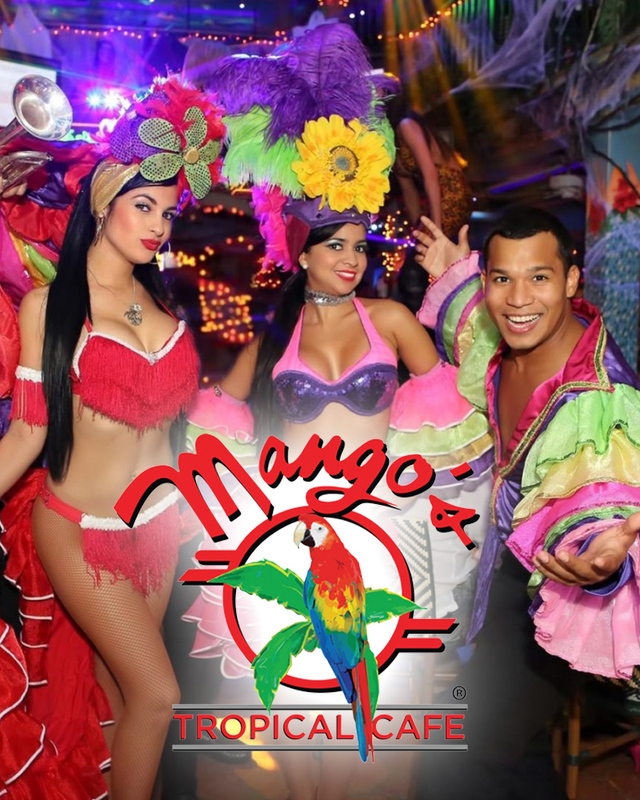 Experience authentic flavor, dynamic performances and mucho mas at Orlando’s hottest destination in nightlife and entertainment Mango’s Tropical Café! Your most unforgettable night awaits you at the largest and most exciting restaurant, banquet facility and nightclub in the Southeast and International Drive’s newest, award-winning dining, entertainment and dance club with live entertainment nightly. Dine and dance in an energy that’s unmatched and electric, all in the heart of The City Beautiful. Mango’s offers a family-friendly dinner and show every night of the week, featuring paramount live entertainment including our Michael Jackson tribute, a Brazilian Samba, Cuban Conga and other Latin-inspired numbers throughout the entire breathtaking venue. Mango’s live band promises to bring guests to their feet with lively and passionate authentic Latin music featuring congas, bongos, horns and more. Guests will savor a three-course gourmet menu of fresh Floribbean cuisine made from scratch. Specializing in Latin and Caribbean comfort foods, as well as American favorites, Mango’s serves up a one-of-a-kind dining experience for every person at your table. Pre-book your dining experience now and enjoy VIP seating, a specialty drink and a three-course meal. Guests of all ages can enjoy taking on the role of detective while solving a mysterious crime filled with outrageous characters, hidden clues, a delicious meal and lots of side-splitting laughter. 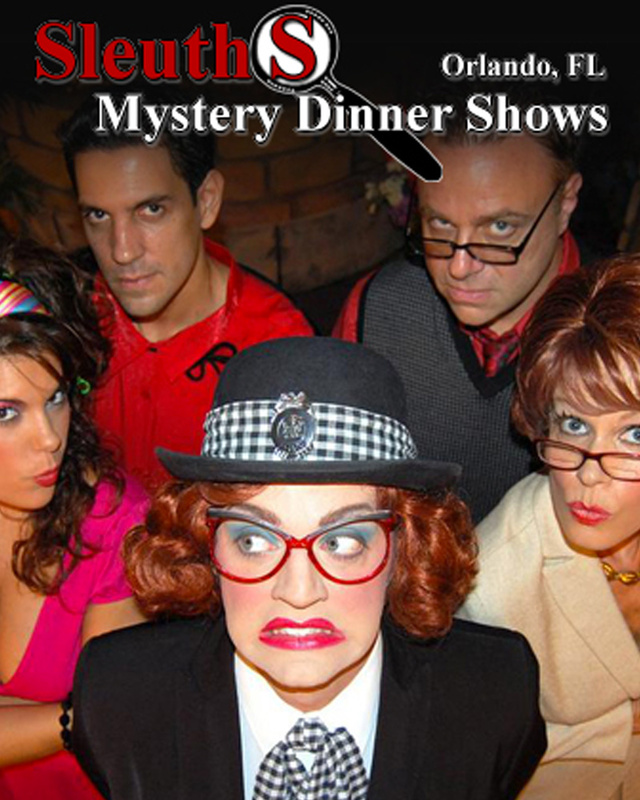 Seating at the Sleuths Mystery Dinner show consists of round table seating with 8-10 people per table. 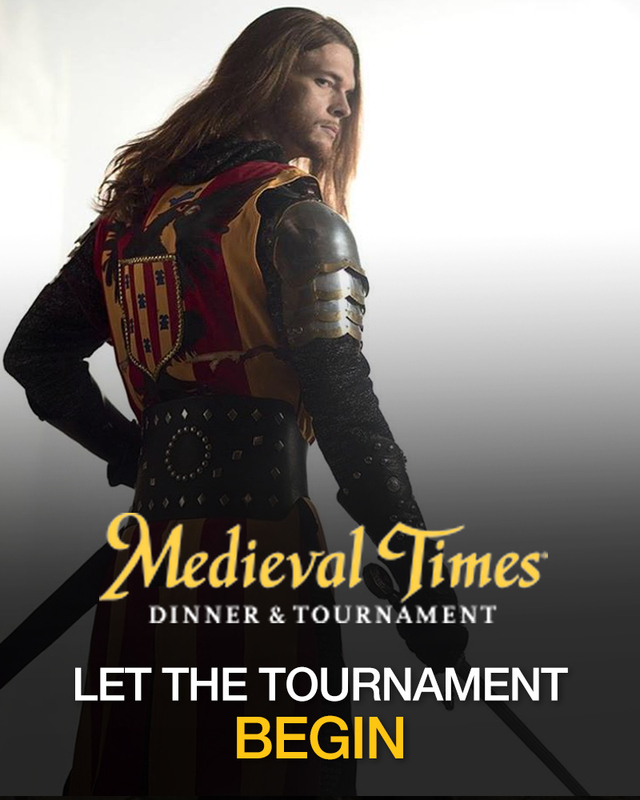 The pageantry and thrills of an authentic medieval tournament come to life inside the walls of the kings 11th century-style castle.